New Buckenham has 41 ‘buildings’ on the National Heritage List for England. 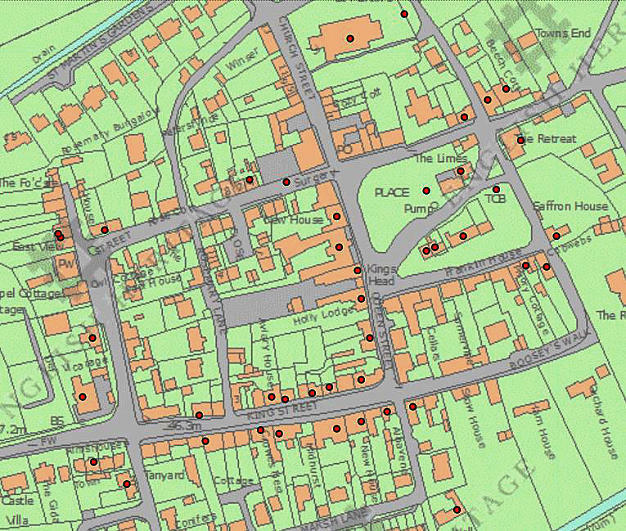 All are Grade ll listed, with the exception of St Martin’s Church (Grade l) and Market Cross House (Grade ll*). Included in the Grade 11 listing are the telephone box adjacent to the Market Place and the milestone along the Norwich Road outside the map. Buckenham Castle and St Mary’s chapel (just beyond the left side of the map as they’re in Old Buckenham) are scheduled Ancient Monuments. Descriptions of all the village buildings can be found under ‘New Buckenham’ in the English Heritage website.